Claims of a 'pause' in observed global temperature warming are comprehensively disproved in a pair of new studies published today. An international team of climate researchers reviewed existing data and studies and reanalysed them. They concluded there has never been a statistically significant 'pause' in global warming. This conclusion holds whether considering the `pause' as a change in the rate of warming in observations or as a mismatch in rate between observations and expectations from climate models. Their papers are published today in Environmental Research Letters. Dr. James Risbey, from CSIRO Australia, is the lead author of one of the studies, which reassessed the data and put it into historical context. He said: "Many studies over the past decade have claimed to find a pause or slowdown in global warming and have typically posited this as evidence that is inconsistent with our understanding of global warming." The study examined the literature on an alleged 'pause'. It looked at how the 'pause' had been defined, the time intervals used to characterise it, and the methods used to assess it. The study then tested historical and current versions of the earth's global mean surface temperature (GMST) datasets for pauses, both in terms of no warming trend and a substantially slower trend in GMST. Dr. Risbey said: "Our findings show there is little or no statistical evidence for a 'pause' in GMST rise. Neither the current data nor the historical data support it. Moreover, updates to the GMST data through the period of 'pause' research have made this conclusion stronger. But, there was never enough evidence to reasonably draw any other conclusion. "Global warming did not pause, but we need to understand how and why scientists came to believe it had, to avoid future episodes like this. 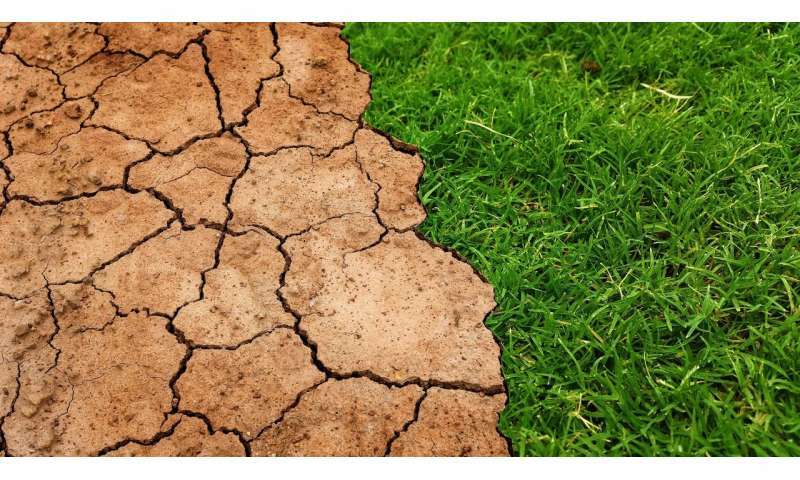 The climate-research community's acceptance of a 'pause' in global warming caused confusion for the public and policy system about the pace and urgency of climate change. "That confusion in turn might have contributed to reduced impetus for action to prevent greenhouse climate change. The full costs of that are unknowable, but the risks are substantial. There are lessons here for the science, and for the future." Professor Stephan Lewandowsky, from the University of Bristol, is this paper's lead author. He said: "We found the impression of a divergence—i.e. a divergence between the rate of actual global warming and the model projections—was caused by various biases in the model interpretation and in the observations. It was unsupported by robust statistics." Despite this, the authors point out that by the end of 2017, the 'pause' was the subject of more than 200 peer-reviewed scientific articles. Many of these articles do not give any reason for their choice of start year for the 'pause', and the range spans 1995 to 2004. Professor Lewandowsky said: "This broad range may indicate a lack of formal or scientific procedures to establish the onset of the 'pause'. Moreover, each instance of the presumed onset was not randomly chosen but chosen specifically because of the low subsequent warming. We describe this as selection bias. "This bias causes a problem. If a period is chosen because of its unusually low trend, this has implications for the interpretation of conventional significance levels ("p-values") of the trend. Selection of observations based on the same data that is then statistically tested inflates the actual p-value, giving rise to a larger proportion of statistical false positives than the researcher might expect. Very few articles on the 'pause' account for or even mention this effect, yet it has profound implications for the interpretation of the statistical results. "This is important, because some of the biases that affect the datasets and projections were known, or knowable, at the time." When the researchers reanalysed the data, accounting for the selection bias problem, they found no evidence for a divergence between models and observations existed at any time in the last decade. They also offer some possible explanations why some scientists believed climate warming lagged behind modelled warming. Co-author Professor Kevin Cowtan, from the University of York, UK, said: "One cause may be a that surface temperature data providers struggle to communicate the limitations of the data to climate scientists. This is difficult because users need to focus their expertise in their own problem areas rather than on the temperature data. "Additionally, there can be delays of several years in updating surface temperature datasets. It takes time to find a bias, find a solution, and then for a paper to be published before most providers update their datasets. This process is good for transparency, but it may leave users in the position where they download data with knowable biases and unwittingly draw incorrect conclusions from those data. Co-author Professor Naomi Oreskes, from Harvard University, USA, added "A final point to consider is why scientists put such emphasis on the 'pause' when the evidence for it was so scant. An explanation lies in the constant public and political pressure from climate contrarians. This may have caused scientists to feel the need to explain what was occurring, which led them inadvertently to accept and reinforce the contrarian framework." University of Bristol climate scientist Dr. Dann Mitchell, who was not involved with either study, said: "As climate scientists we often look back at previous bodies of evidence and wonder why certain topics were so prominent in discussion; the so-called climate hiatus being an excellent example of this. Given the fast pace of increasing climate change understanding, the conclusions of this paper will be very relevant for the inevitable future 'apparent' climate contradictions that emerge over time." Global warming has never been enough for me. I have been hearing about it since 1979. I wouldn't mind a 3 degree C temperature rise. Everything about global warming is always more and worse. Pause in global warming? Can't have that. Re-evaluate the data the eliminate the suggestion that global warming may have slowed at any time in any amount. We must have more and worse. Whatever happens, it will be more and worse. Never less and never better. It will be interesting to see low solar magnetic activity, low terrestrial magnetic activity, increased earthquakes, and increased volcanism get connected as caused by CO2 emitted by burning petroleum when the temperatures get much cooler than expected. In any case, why would I want global cooling and how is global warming not the only alternative? The normal glacial cycles for the recent few million years are about 20-50 degrees colder than now and the continents are much drier over all. I'd prefer the Eocene climate which was 10 degrees warmer with less variation in temperatures and about 300m taller oceans. Give it UP already! Marxism is for losers. You are NOT going to shut down our industrial base with your BS, and you CAN'T have my guns. (Why do you want them in the first place?). Global warming is all about controlling demand for fossil fuel after peak oil starts running out. Its future for you is bleak, and involves you having less and less until one of the four horsemen rebalancing population to bring demand in line with falling supply. The other alternative is to use the last of the oil age to build sustainable energy globally (like Germany is doing with solar on all its rooftops) and to limit population growth globally (perhaps two child family planning). The choice is yours, for you and yours. I wouldn't mind a 3 degree C temperature rise. You wouldn't mind the central U.S. grain belt reverting to desert. Probably because you will be dead before the starvation begins. Global warming is all about controlling demand for fossil fuel after peak oil starts running out. And here I thought that Global Warming was all about the long predicted, and confirmed by observation, warming of the Earth's surface. "use the last of the oil age to build sustainable energy globally (like Germany is doing with solar on all its rooftops)"
That would take reason, coordination and planning, and Americans are mostly retarded and opposed to reason and coordination. It is always amazing to see how retarded these Republican Americans are. "Everything about global warming is always more and worse." Inaction is making temperatures rise and higher temperatures = worse. You don't seem capable of thinking rationally. You must be a primary school dropout. Translaton - "Me no be understood the analysis cause I don'ts do no adden or subtracten, and be no isn't a mathie." "Re-evaluate the data the eliminate the suggestion that global warming may have slowed at any time in any amount." Why do we need complex statistical models to measure the persistent warming. How many of you determine the temperature of anything using statistical models. Just measure it. There ! they fixed it ! THATS how u do sciencey stuff , take that ! u rotten deniers ! Because you can "prove" almost anything by manipulating statistical data. "Why do we need complex statistical models to measure the persistent warming." "We don't" The warming trend is now well beyond the need for statistical models to judge it's statistical significance. However attributing some of the small scale signals of the response to the rising temperatures does require some statistics to relate those signals to the observed warming. People like Dogbert are easily confused by statistics and pretty much everything else. It is why they are always producing stupid comments like the one above. Those of us who are scientifically literate know the statistical modeling goes into creating the error bars, and not the measurement. Analysis based on Linear Variation in time might be misleading.